With this deluxe counter top brochure holder you can easily display important information for customers to have access to in convenient locations. Works great on a desk or counter top. 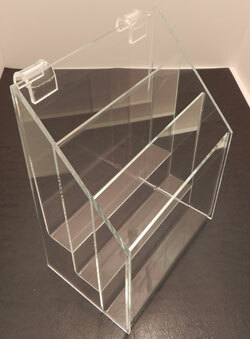 The deluxe brochure holders that we carry are constructed of high quality clear acrylic to ensure maximum durability. The simple design will blend in well with your pre-existing décor. 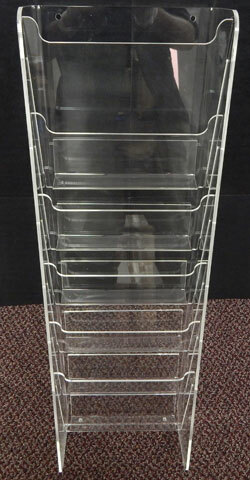 These acrylic card displays can be used to display prices or product information. 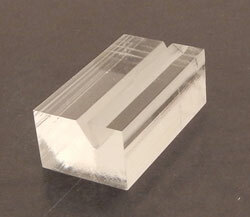 Durable acrylic construction allows for extended use. Acrylic cardholders available in 4 sizes.